Folks, it’s time to break out the ice cream maker. While I love this kitchen gadget, I find that it doesn’t get much use year-round. Father’s Day was the perfect excuse to dig it out, so I did! 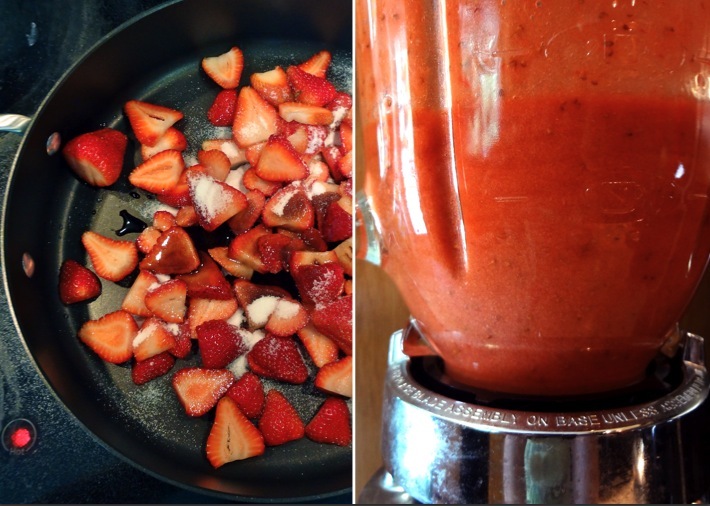 I love the combination of strawberries and balsamic vinegar. 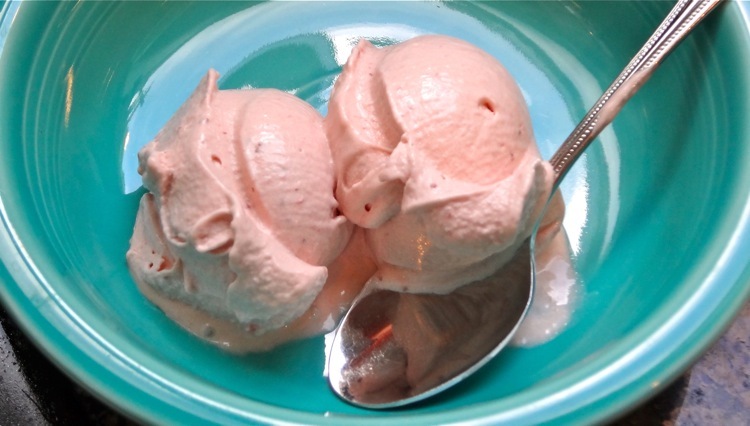 Fresh strawberry ice cream is divine, so adding this extra flavor boost was bound to be scrumptious. To guide my way, I turned to this recipe from Kris Hoogerhyde, Anne Walker, and Dabney Gough at Fine Cooking. The result wasn’t exactly what I was expecting, but was delicious nonetheless. I loved how creamy and thick it turned out. However, I didn’t get the pop of fruity tartness I expected from the strawberries and vinegar. What I did get was a rich strawberry cheesecake flavor; it seems like the vinegar turned the cream just a bit sour, evoking the taste of cream cheese. I used store-bought strawberries for this, but I bet fresh-picked strawberries would have made a difference in bringing out the fruit flavor. Left: Heating fresh strawberries, sugar, and balsamic vinegar. Right: After cooling the berries, blend them. Top left: Heat cream, milk, salt, sugar. 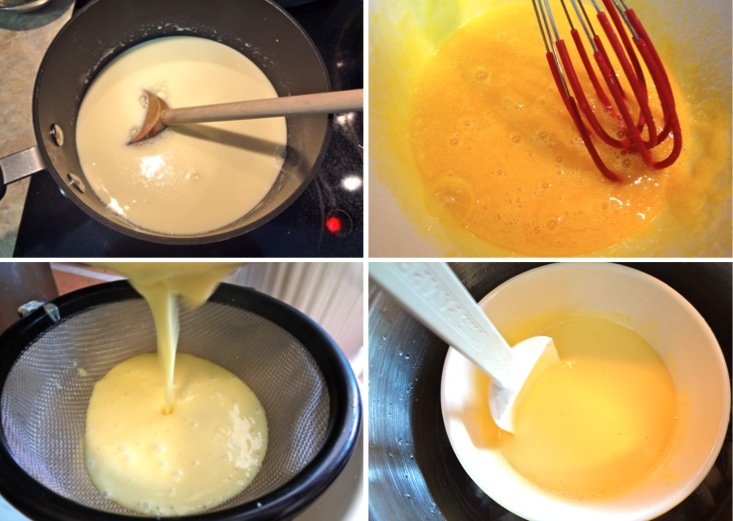 Top right: Mix yolks and sugar. Bottom Left: After combining and cooking the yolk mixture into the cream, it gets strained to remove all cooked eggy bits. Bottom right: Place custard into a bowl within an ice bath and stir to cool. Once both the custard and the strawberries are completely cool, make ice cream according to your ice cream maker’s instructions. Note: My ice cream maker is slightly smaller than most, so I had to remove part of the batter so it wouldn’t overflow. Always good to keep an eye on it. One of the best parts of making this ice cream? I bought a huge container of cream from Costco in order to make it, so I guess I’ll have to be on an ice-cream making kick in order to use it all while it’s still good! 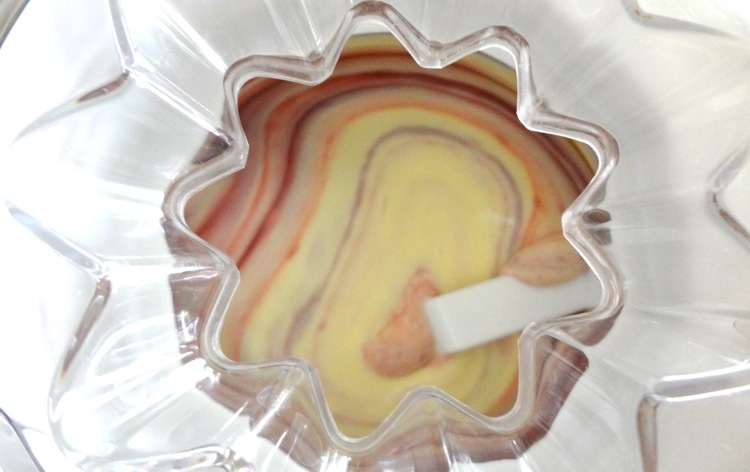 I loved making ice cream when I lived at the Stokke house! I made a mighty fine dark chocolate recipe that was very rich and smooth. Alan has the recipe, I should snag it! Dark chocolate ice cream recipe? Yes. I need that. Mmm, strawberries+balsamic+thyme is great as a fruit dessert or on top of shortbread too! Mmmm…I’ve done strawberries & balsamic on angel food cake, but I haven’t thought to add thyme. Sounds delicious.